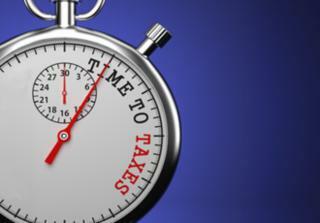 The passing of the New Year means tax season is on its way. The IRS will begin accepting tax returns electronically on January 31st, so now’s the time to start gathering your numbers. Find out what you can do to breeze through your tax preparations to get a jumpstart on the tax-refund-shopping season! Tax preparation services like H&R Block® are now open and ready to assist. In fact, H&R Block® is hosting an Early Bird Guide to a Stress-Free Tax Season to help make this year’s filing so much easier. Jumpstart your Financial Progress in 2014: Learn a few easy things you can do to improve your finances in 2014. 14 Changes That Will Affect Your Taxes: Personal life changes can affect taxes. Make sure you are taking advantage of your available deductions. Health Care Q&A Series – Medical Deductions: Find out how the Affordable Care Act may affect you and your medical deductions. H&R Block® Facebook® page: Offering a first-of-its-kind Client Service App, this page gives you access to enter a “ticket” for a service rep to start working on your issue or question. Twitter®: Get a direct connection to its Client Care Team with the @hrblockanswers Twitter® handle. If you prefer more traditional communications, you can email the H&R Block® team at hrblockanswers@hrblock.com, or call 1-800-HRBLOCK. Regardless of your unique tax situation (self-employed, rental property owner, homeowner, investor, or first-time filer), filing your taxes online has never been easier with H&R Block. This year, resolve to make your money work for you. Begin by saving time, effort and 15% on H&R Block At Home products through RebateBlast and instantly earn a cash back rebate!